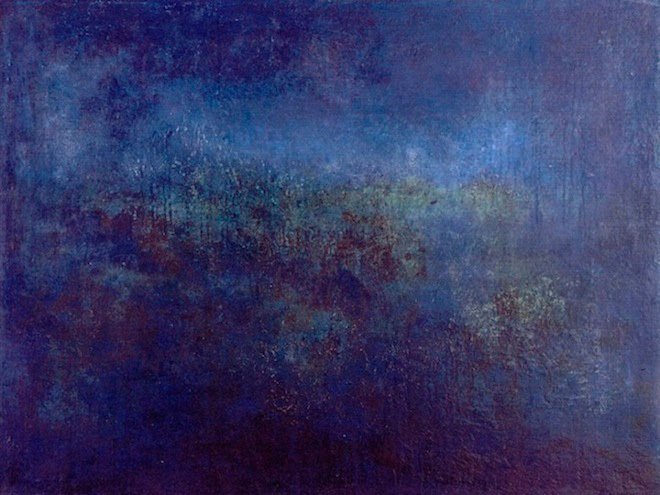 “Blue Night” 1992 (oil on linen, 30 x 40") Private collection. 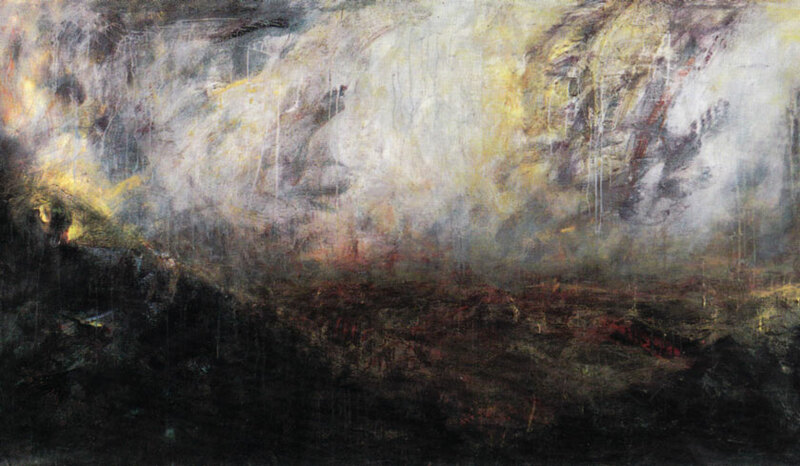 “The Way Out” 1990 (oil on linen, 24 x 30") Private collection. 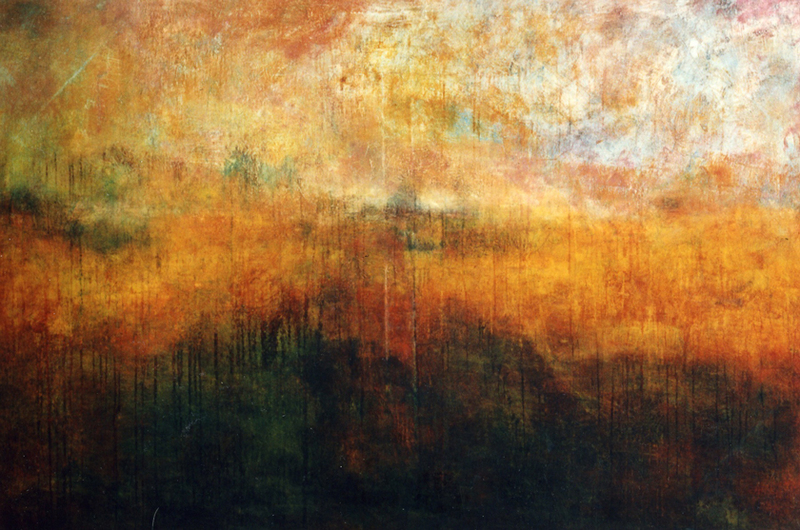 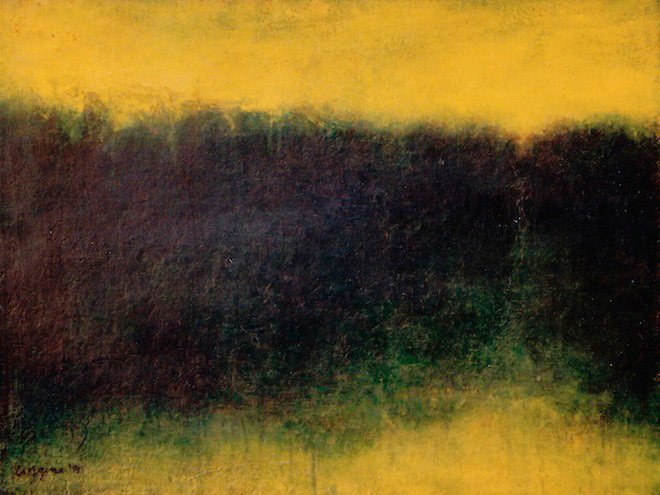 “October Plain” 1990 (oil on canvas, 48 x 72") Private collection. 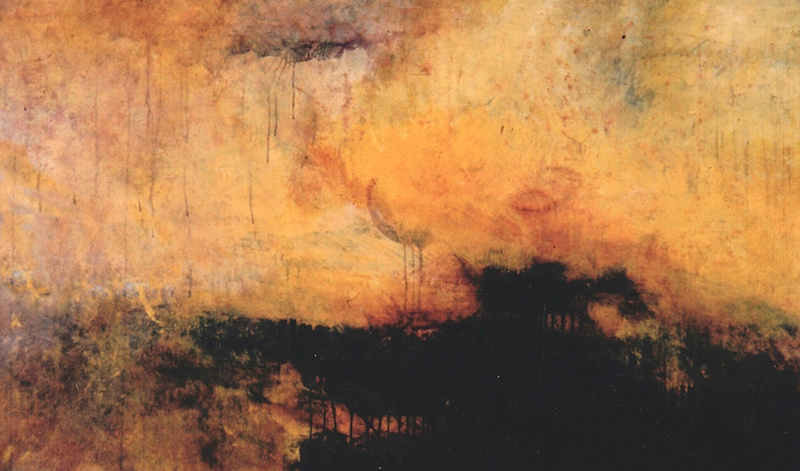 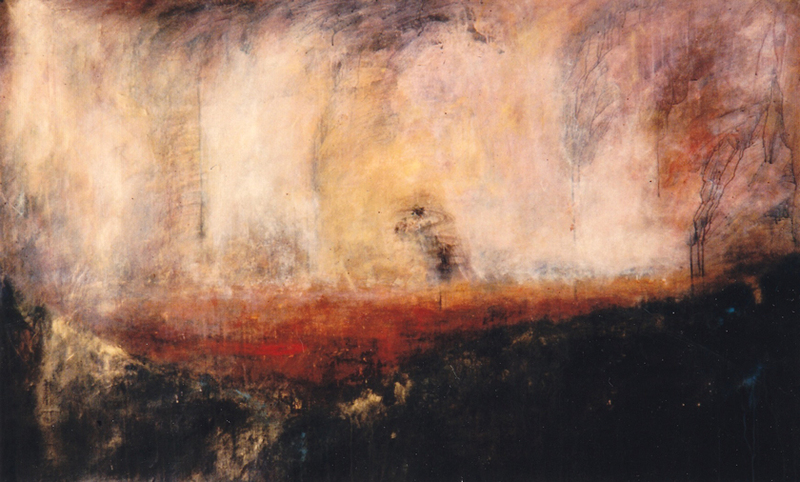 “Plain with Fire” 1990 (acrylic on paper, 42 x 69") Private collection. 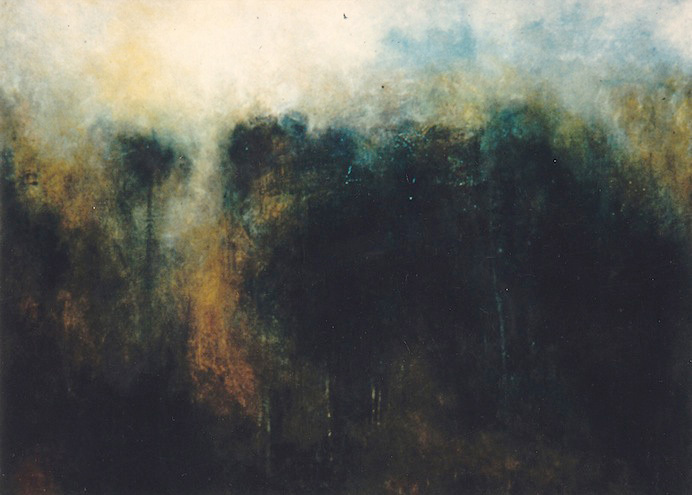 “Hills, Plain, Storm” 1989 (acrylic on paper, 42 x 73") Private collection.